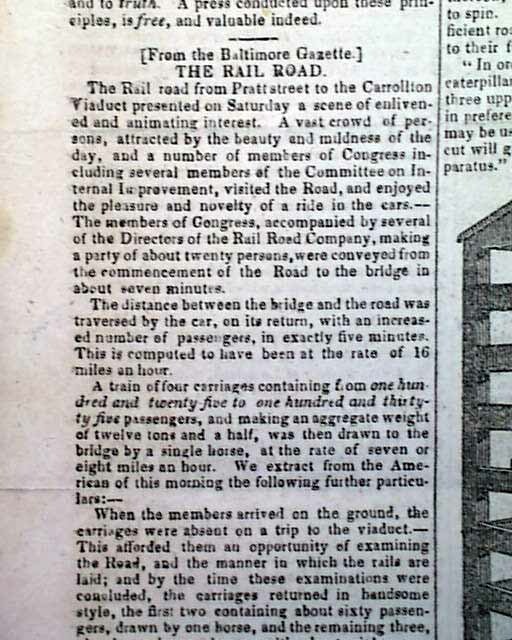 NATIONAL GAZETTE AND LITERARY REGISTER, Philadelphia, January 23, 1830 Page 4 features an article entitled "The Rail Road" which reports "The Rail road from Pratt street to the Carrollton Viaduct presented on Saturday a scene of enlivened and animating interest. 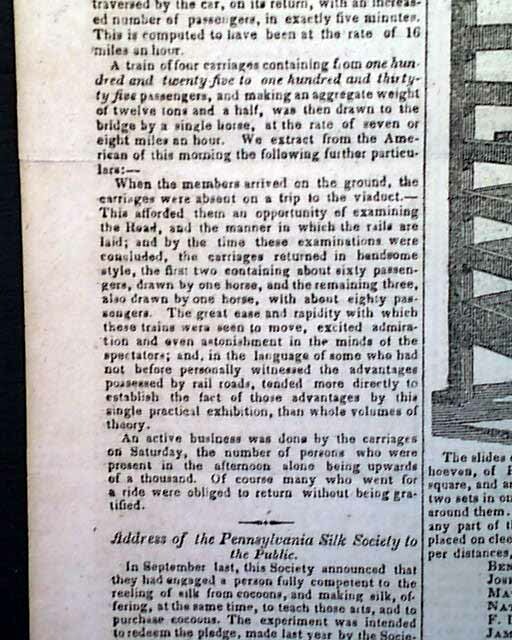 A vast crowd of persons, attracted by the beauty and mildness of the day, and a number of members of Congress including several members of the Committee on Internal Improvement, visited the Road, and enjoyed the pleasure and novelty of a ride in the cars. 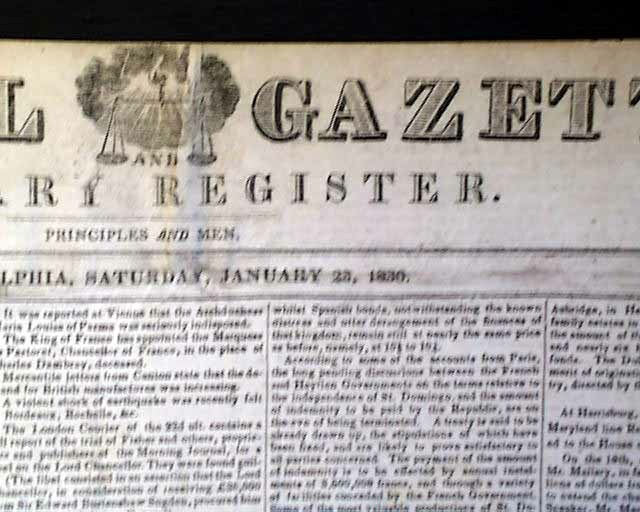 -- The members of Congress, accompanied by several of the Directors of the Rail Road Company, making a party of about twenty persons, were conveyed from the commencement of the Road to the bridge in about seven minutes..." Other news of the day and advertisements. 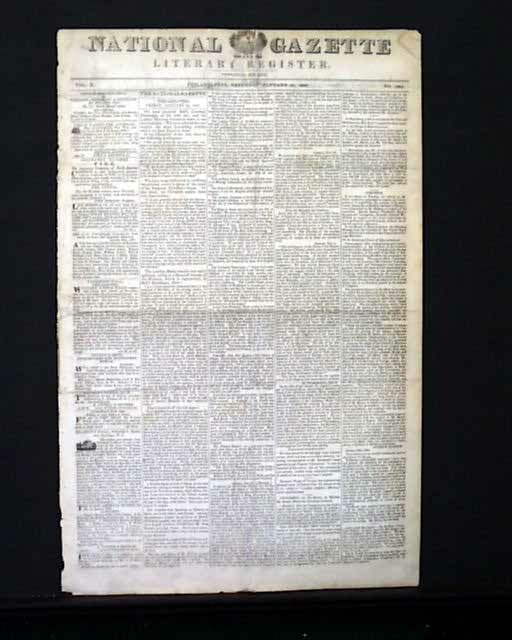 Complete in four pages, trimmed close to the top of the masthead, otherwise in very good condition.